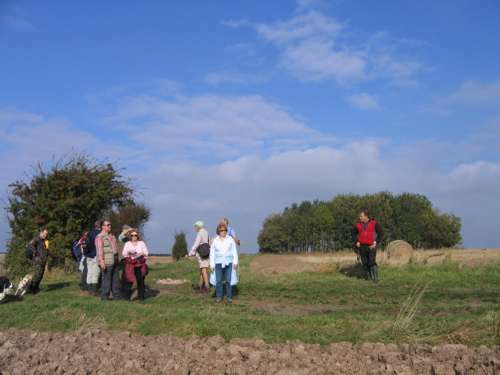 Stuart Rose arranges guided walks round Laxton to suit all needs. Many are personally arranged by parties with particular interests. 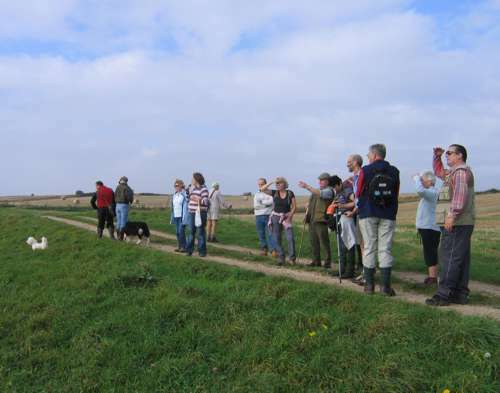 Current Educational Access arrangements are in place until the end of September 2013 to cover the costs, and until then all walks are free of charge. For talks at your own venue travelling expenses only are payable. 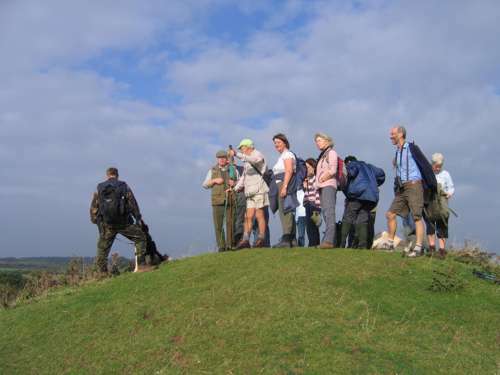 Stuart's series of six pre-arranged, public walks featured in the Nottinghamshire County Council publication 'Guided Walks in Nottinghamshire'. When the council discontinued producing them have been published by a voluntary group in a guide available at www.nottsguidedwalks.co.uk and from selected points in small numbers in printed form. Sponsorship to print more would always be appreciated. 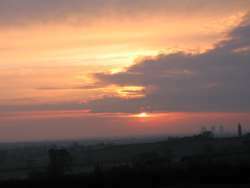 You are welcome to email or phone Stuart to arrange your private walk or talk at any time. 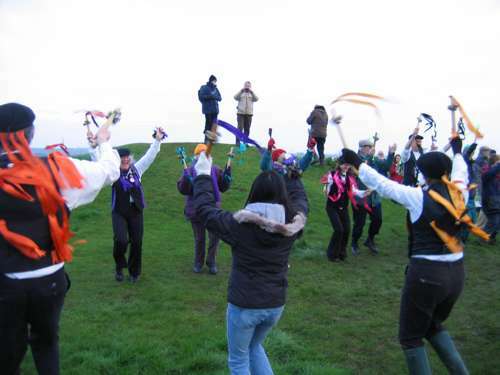 Walkers are advised to bring outer clothing suitable for the weather on the day. There is no shelter once the walk leaves the village. Walks are almost entirely over tracks and farm land which may be muddy or rough. Please ensure you wear sturdy footwear suitable for walking off road. All walks are free of charge. 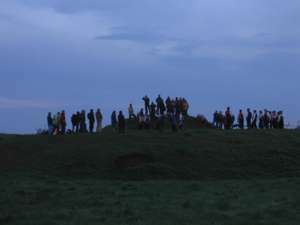 A sunrise which rewarded early risers at Laxton Castle for the May Day walk.